I used to daydream about my boys growing older. I'd imagine them playing football in the park, squabbling over computer games and teasing each other about girls. In my mind's eye, I'd see them going for their first pints together and being best man at each other’s weddings. With just 14 months between them - one blonde and tanned, the other dark haired and pale - I saw two strong, handsome men, best friends as well as brothers. 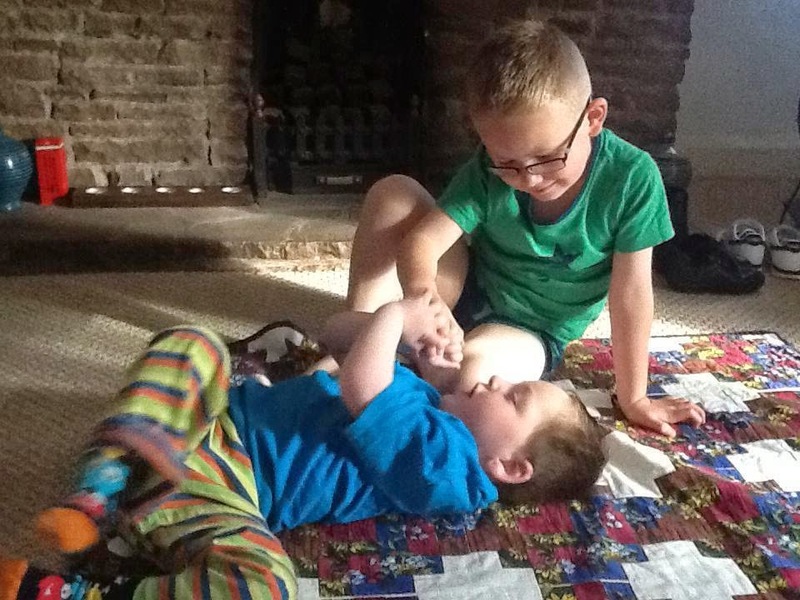 But then we found out that Hugh, the younger of my sons, has an undiagnosed genetic condition that means he is unlikely to live until adulthood. Amongst other things, he has a rare and severe form of epilepsy which causes him to stop breathing for prolonged periods of time, most recently over 15 minutes. The life-limiting label robbed me of that right to dream so far into the future, and the life-threatening label scared me into thinking every day would be the last. In all my pre-child fantasies about what life would be like with children, I never once imagined a hospice. Who does? When the option was first suggested to me, I shuddered, sickened by the implications. A hospice is no place for a baby, my baby! I refused to even entertain the notion that we might benefit from such a place. But at 18 months old, Hugh required 24-hour care. His needs were physically and emotionally draining. He was stopping breathing so frequently that I literally couldn't turn my back on him; I was giving him mouth to mouth as often as 15 times a week. We hardly slept, afraid of what might happen if we did. Instead we would doze on and off throughout the night, with Hugh between us in the bed, each of us holding his hands so that we'd immediately spot any subtle movements that might indicate he’d stopped breathing. Some nights we'd jump from the bed two, three, four or more times - one of us switching the light on and grabbing the phone ready to dial 999, whilst the other gave mouth to mouth - hearts racing, adrenaline pumping and barely enough time to catch our own breath before trying to breathe for Hugh. It was exhausting. "The physical and emotional drain on a family caring for a child that needs round-the-clock care can be staggering. Hospices can offer a break from the pressure of day-to-day caring and a step back from the enormity of the caring role. It allows you to ‘just' be a parent again; not a carer or a nurse or a physiotherapist or a doctor or a pharmacist. Just Mum." Added to this was the daily physiotherapy he needed to try to teach him to sit and stand, the visual stimulation to encourage him to use his eyes, the regular medications and his tube feeds 5 times a day for an hour at a time. And that was when he was well. When he was ill, it became more intense; we'd have to monitor his temperature hourly, do chest physio every four hours, give him nebulisers every two hours, and suctioning, all to try and prevent chest infections. Many nights the living room resembled a high dependency unit, with monitors and flashing lights and oxygen. I'd sit on the sofa drinking coffee to stay awake and alert, carefully watching Hugh as he slept fitfully in his pushchair next to me. And through all of this I had a two-and-a-half year-old who needed me, too. It was our older son who finally allowed me to accept that I needed support and that a hospice might be the place to get it. The fact that Sean was missing out on his childhood because I was so preoccupied with Hugh's care needs made me admit I needed help. 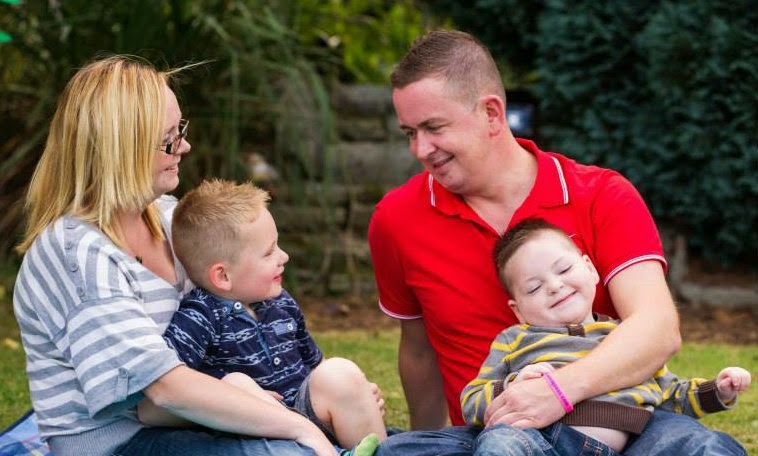 The complexities of his condition meant getting a child minder for a few hours just wasn't an option, and so it had to be the hospice. Accepting that my baby was eligible for support from a hospice broke my heart. Like many people, I had preconceived ideas about what a hospice is. I imagined a sad and depressing place; solemn and morbid. But nothing could be further from the truth. A home from home, it was, and still is, warm, welcoming and inviting. Yes, end-of-life and bereavement care is a significant part of their work, but it is not their sole focus. They offer respite and support for the whole family as well. The physical and emotional drain on a family caring for a child that needs round-the-clock care can be staggering. Hospices, like Acorns – our local children's hospice – can offer a break from the pressure of day-to-day caring and a step back from the enormity of the caring role. It allows you to ‘just’ be a parent again; not a carer or a nurse or a physiotherapist or a doctor or a pharmacist. Just Mum. Letting someone else take responsibility for the burden that I felt should be solely mine was hard - but I relished the opportunity to spend carefree hours with Sean in the park. Instead of checking for emergency vehicle access and watching Hugh like a hawk, I could push Sean on the swing and run through the trees. The weight was temporarily lifted from my shoulders. It took time for me to adjust to not having my little shadow continuously by my side, but the breaks rejuvenated me, leaving me stronger to face the days ahead. The contentment of a full night's uninterrupted sleep, or the chance to have a quiet meal out with your husband are simple pleasures many take for granted, but without our local children's hospice, these would not be possible for us. The hospice has taken the broken pieces of our family and carefully nurtured them back to a whole. They have picked us up at our most scared and vulnerable, held us close and assured us that although they can't make it all right, they can help us through. Though the future remains uncertain at best, the care and compassion our family have received from Acorns has helped us to see the light on even the darkest of days. We are eternally grateful for their support.